Come along to our health walks which run every Monday, leaving here at 2pm ......bring a friend and dogs are also welcome. Tanners café is every Thursday morning 10.30 - 12 in the Camelot room at the Village Hall £2 a session. Our CQC report is now available to view, click on the link further down to page to view it. We now have an MSK clinic running on a Tuesday for patients with muscle or joint pain - ask reception for further information. The Government has announced an increase to the NHS prescription charge of 20 pence, to £8.80 per prescription item. This change will come into effect from 1st April 2018. Please note that as from Monday 1st April the prescription charge will increase to £9.00 per item. In order to provide a timely response to urgent and routine medical problems we are altering the way we offer appointments. We ask that you phone the surgery, or use the askmyGP link below, and give a brief outline of the nature of your medical problem. You will then be given a time when the GP will call you back. Following this triage we are more able to offer an appointment with the appropriate person for the appropriate amount of time having arranged appropriate tests and paperwork beforehand. We also find that the many issues can be dealt with on a phone call alone and saves you a visit to the surgery. If you want to contact a specific GP you will need to phone on the day that they are working - When is my GP available? . If your GP is not available and the problem cannot wait, a colleague will be available to cover. For those who are unable to use this system, e.g. hard of hearing, please let the receptionist know and they will make an appropriate arrangement. Please note that booking appointments to see a Nurse or HCA has not changed. These can be pre-booked in the usual way. Please note that we are now using the newest version of AskmyGP (Version 3). You may need to re-register with this version but in most cases your log-ins will have moved across. Click on the logo below to use askmyGP. This will send us an electronic message to the GP who will respond by message or telephone. The easiest way to contact us is through askmyGP. Queen Camel, Bruton, Milborne Port, Milbrook and Wincanton GP Practices are now working collaboratively to offer appointments to their own and each other’s patients who cannot easily access primary care services during normal working hours. Four of the practices in turn will offer extra appointments with a health care professional between 6:30pm and 8:00pm Monday-Friday and Queen Camel will offer appointments (for all practices) between 9:00-10:30am on a Saturday morning. Milbrook Surgery will additionally offer appointments from 7:30-8:00am on a Tuesday morning. The appointments will be with the host practice staff, not necessarily your registered practice staff. This is a new initiative across Somerset whereby patients can make appointments at extended times (up until 8pm at night, Monday-Friday and on Saturday mornings) at other practices across the local area. When booking a telephone appointment, there will be a mixture of pre-bookable and same day appointments available across the week. They may be with a doctor but could also be with another healthcare professional such as a primary care practitioner or a nurse. We are keen to balance the importance of continuity of care with convenient access for patients whilst ensuring that the service is safe. To book an evening or weekend appointment please contact your registered practice during normal opening times, this will help us to signpost you to the most appropriate option for your particular problem. By contacting us we can fully explain the process, to ensure that the booking is appropriate (as we hope to be able to meet your needs by offering an appointment with your usual GP) and cover all the relevant information (and consent) that we need to before we book an appointment for you. You need to agree to your medical record being shared with the host practice who are providing your appointment. The clinician providing your appointment needs to have full access to your medical record. There is an opportunity to access same day appointment on a Saturday at Queen Camel Medical Centre. These are allocated on a first come first served basis by calling the practice. If you would like an appointment during one of these sessions, please contact your registered practice and request an “Improved Access” appointment. This is NOT a walk-in-service and anyone would turns up to a practice without a pre-booked appointment will be asked to contact the Out of Hours Service. If you or somebody you are with become seriously ill, injured or consider symptoms to be life threatening then please call 999. If you have a non life threatening emergency please call NHS 111. It is fast, easy and free. A highly trained advisor supported by healthcare professionals will assess your symptoms and direct you to the best medical care for you. Pharmacists are highly trained health professionals who are able to advise you on treatment for common problems and also help you to decide if you need to see a GP. We would like to thank all our patients who participated in the Patient Participating Group Survey. Please see results of survey and report below. How likely is it that you would recommend our services to friends and family? From 1st December 2014 it is a contractual requirement that all GP practices undertake the NHS Friends and Family Test (FFT). 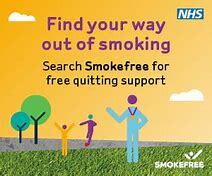 We here at Milborne Port Surgery are implementing it as of 1st October. The FFT is anonymous. The Friends and Family Test is a feedback tool that supports the fundamental principle that people who use NHS Services should have the opportunity to provide feedback on their experience that can be used to improve services. It is not a traditional survey, it is a continuous feedback loop between patients and practices.